Conquer your harder tasks first. There are always going to be things that you just don’t want to do. If you can’t delegate these tasks to someone else, focus on getting them done first thing in the morning. Getting undesirable tasks checked off your to do list at the beginning of your workday will keep you from dreading them all day. If you are an entrepreneur, chances are you have a lot on your plate. 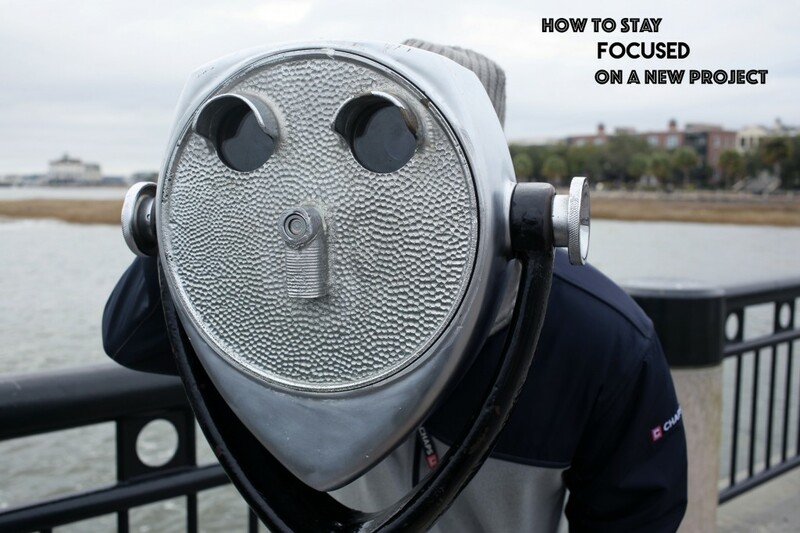 Rather than just making one never ending to-do-list that stresses you out every time you see it, why not make a series of smaller, more focused lists? You can start with separate lists for personal, business and family. You can take it a step further by dividing up your business list into marketing, daily tasks, weekly tasks, or whatever works best for your business. If you want to improve your mental concentration, creativity, and productivity, take breaks during your workday. In fact, skipping breaks can actually cause stress and exhaustion. Taking a break from both your work and your office can help you recharge your internal resources. Whether it’s a lunch break, a walk, or even a nap, spending a little time away from work can improve your productivity tremendously. Have some boring or tedious things on your to do list? Keep it fun by listening to your favorite podcast or a playlist of great songs. Keep your office positive and motivating with your favorite art or some interesting quotes on the wall. There are some parts of running a business that never seem fun but that doesn’t mean we can’t add a little fun into the less desirable parts of our day. If you are like most entrepreneurs, you are working on multiple projects at the same time. When a big project comes along, it’s important to be able to stay focused on it while still managing the other various tasks you need to perform on a day to day basis. The more organized you are at the beginning of a project, the more organized you will remain throughout the project. Take the time to organize your thoughts and map out your plan of action for your upcoming project. Whether it be a notebook or an app, find out an organizational system that works best for you and stick to it. Rome wasn’t built in a day and your big projects can’t be handled in a day either. You will do your best work if you have the time to focus on each element of the project without being too rushed. When you are making your plan of action, be sure to schedule breaks and give yourself as many days as necessary to successfully complete your project. 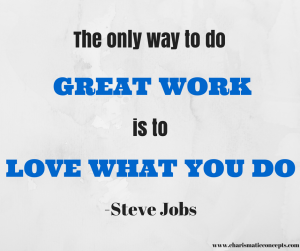 It is always easier to do work that we are passionate about. When you are overwhelmed and overtasked in the middle of a project, you may loose sight of why you decided to start the project in the first place. Be sure to remind yourself at various times while working on the project, just how important it is. The more challenging the project, the more reasons you may need to prepare. Write down your reasons in a notebook and pull it out when you need some motivation. Just a small break between 30 seconds to 5 minutes can improve mental acuity by an average of 13%. A 15 second break from your computer every 10 minutes can reduce fatigue by 50%! Also, remember that breaks are most effective when they are taken before they are actually needed. Taking the breaks you need will ensure that you are full of energy and ready to successfully tackle and complete any project that comes your way. 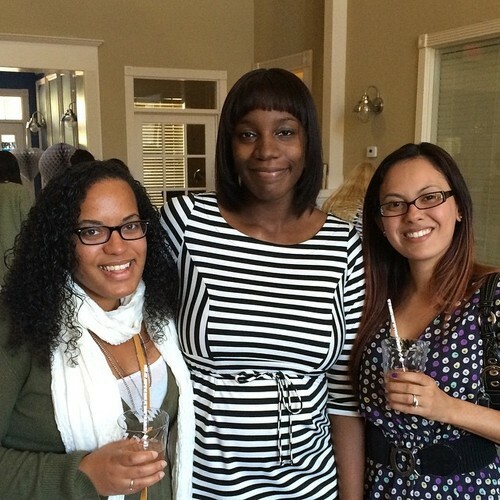 Here I am with two of my favorite small business owners, Angel from Sevenality and Melissa from Jelly Design Studio. Misery loves company but so does creativity. I’ve always found myself drawn to other people who are creative and having creative friends has always been important to me, but over the past year, I realized just how important creative friendships are to your success and well being. As an entrepreneur, there are certain things that some people will simply not understand about your life but friends that are creative or entrepreneurs themselves will most likely understand. Other creative people will understand your need to sometimes work at strange hours during the night and small business owners and entrepreneurs will understand your long hours and booked weekends. Friends with “normal” schedules sometimes won’t understand why you can’t make it out on Friday night because of a deadline that you gave yourself. I have amazing friends and family members who will sing my praises for just about every image I create. Even though it feels great to be on the receiving end of all that praise, I have to admit that they all have a biased opinion and a limited knowledge of photography. My creative friends however, sometimes sing the opposite of my praises. When I ask a creative friend for some creative criticism, they will give it. Although it is not always easy to hear that something you worked so hard on may not be as amazing as you think it is, it is important to hear different opinions so that you can grow to be a stronger and better artist. A good creative friend will give you kind criticism and ideas for improvement. I’ve been working in the wedding industry in some capacity since 2009. I knew that I wanted to use my knowledge of all things wedding related and my passion for all things equality related to do something good in the wedding community. I had been thinking about starting Equal and Forever for awhile but I was unsure if I could do it properly. When Bobbi came to visit me last Spring, I told her about my idea for Equal and Forever. I had only told my husband and my brother at this point so I was nervous about putting the idea out there. 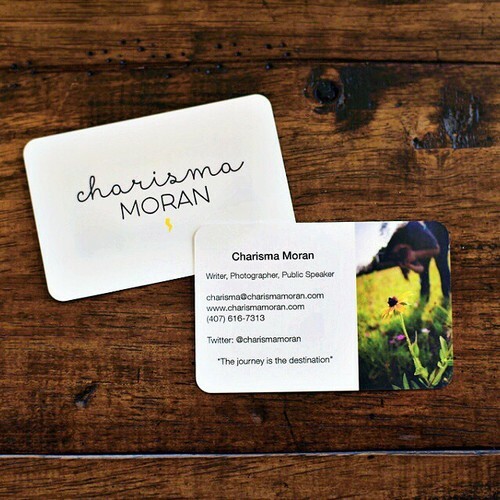 After hearing my entire plan for the blog, she said to me, “Charisma, go home and buy the domain name right now.” I respect her so much as an entrepreneur and a creative and her confidence in me is exactly what I needed to remember that I am fully capable of running Equal and Forever and Charisma Moran Photography. I am so happy she was there to support me when I needed it and that I followed her advice! Sometimes your business is going through growing pains, or perhaps you have taken on a demanding client that is making you reconsider owning your own business. Maybe you have been stressed out and you are having trouble coming up with any new designs or possibly, you are having what feels like never ending issues with your equipment. Having a friend in a creative field that fully understands what you are going through can be helpful and almost necessary. I am blessed to have an amazing group of close friends who will listen to me when I need to rant, hold me when I need to cry, and say all the right words when I need to laugh. However, there is something to be said about the way I feel after grabbing tea with Angel or Melissa. Not only will they be sympathetic to whatever I am going through, but they will be able to completely understand and relate to it. Although they are designers and I am a photographer/writer, so many aspects of entrepreneurship and the creative process overlap. Whether it is clients, taxes, a new business plan, or a brand identity crisis, they will definitely understand it and they may have possibly lived it. I just recently purchased new business cards from moo and I can definitely say that I am very pleased with them! Even with the internet being such a large part of our lives, I still find that a good business card can do wonders for your networking. The trick is having a great card that will stand out in a crowd and not just be thrown in a stack with the others. Here are a few tips to make your business card worth a second look. 1. Add a unique picture. If potential clients want to find a plain headshot of you, they can most likely do this in multiple places around the internet. Why not use your business card as an opportunity to share a picture that gives them a sense of who you are? I spend most of my time writing or behind a camera. A picture of me writing didn’t seem very exciting but a picture of me actually taking pictures (which is what most people who receive my card will be hiring me to do) seemed like a perfect idea. If that amount of action in your picture seems like too much for you, opt for a picture of you laughing rather than the boring posed smile. 2. Show a little personality. Working with Ready to Blog on my brand really helped me showcase my personality throughout my brand and businesses. Simply having my logo on one side of my card is a huge insight into my personality. In addition to my unique logo, I have a quote on my card that is basically my personal mantra. If people read this quote and it resonates with them, then they know we will work well together. 3. Give them an alternative way to contact you. Email is my favorite form of communication and there are definitely still those people who prefer phone calls. Both of these options are on most business cards. I offer my clients my twitter handle so that they have a third way to contact me. In addition to it being an option for communication, it is also a universal social media platform. Everyone from celebrities, to artists, to John Doe down the street uses twitter. If I give my business card to a potential client, fellow artist, publisher, or a subcontractor who I plan on hiring, there is a good chance that they will have a twitter account. It’s not unusual for me to be questioned about my path to becoming an entrepreneur. If I am being completely honest, it is something that I always knew was the right fit for me. However, many other people don’t decide on entrepreneurship until after they have launched another career. While I had not launched a career, I was working (more than) full time when I started my business and I continued to do so until my business was steady. If you are currently working in a certain field but you feel like being an entrepreneur is your calling, try following these steps. Perhaps you have always dreamed of opening a bakery. Maybe you want to create and sell jewelry. One of the best parts of being an entrepreneur is that you are creating your own job and you can decide exactly what you want to do. Once you have decided on your new career path, it is time to start doing your research. Don’t jump in with both eyes closed because that will make it impossible to land on your feet. Learn as much about owning a business as you can and try to get a realistic idea of how difficult it will be to make this transition. One of the best things you can do is shadow someone who is doing what you would like to do. Spending one week assisting a wedding planner may send you screaming in the other direction or it may let you know that it is exactly what you want to do and give you the inspiration to work harder towards your goal. Unless you have an unlimited amount of cash flow, it is a smart idea to slowly transition into being a business owner. In fact, many people choose to keep their jobs because of stability, insurance, or income but still pursue their passions professionally. If you decide to make your business your full time career, make sure that you either have enough money to support yourself until your business will bring in money or work both jobs until you have enough income from your business to support yourself. Having a great brand is one thing but having other great brands connected to your own is a recipe for success. Find brands that you respect and admire and find ways to help each other out. 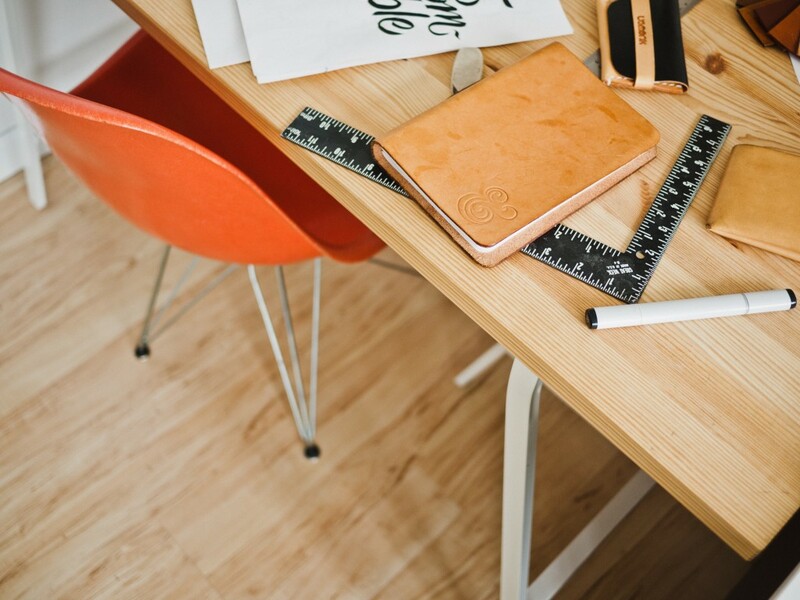 Collaborations on projects can help out both of your brands and allow you to grow creatively. In addition to that, you will most likely make amazing friends in similar fields. Becoming an entrepreneur is one of the best things I have done for myself. I love the career that I have created, the amazing places that it continues to take me, and the amazing people that have come into my life because of it. If you are thinking about becoming an entrepreneur but you are looking for the right sign, consider this it. Just make sure to put in the time to make informed decisions, do tons of research, start smart and small, and find the right people to help you along your journey. Sometimes the simple of act of writing something down can have a large impact. I have no problem admitting that I don’t get anything done unless I write it down. All of us have busy lives with what feels like a never ending to do list. Actually writing out a daily to do list helps me to stay focused and actually get things done. You can check out some list apps, use the notes section on your phone, or simply use pen and paper to write out your daily goals. When you work for yourself, it can be especially hard not to procrastinate. Especially when what you are working on isn’t for a particular client. When I find myself starting to slack off on a task that isn’t for a client but still needs to be done, I immediately set myself a deadline. Having personal deadlines motivates me and writing them on a calendar makes it feel that much more important that I complete the task by a specific time. Occasionally, running a business and two blogs can catch up to me. I love what I do for a living but just like any job, even a dream job has it’s not so fun days. During these times, it is important to remind myself why I love what I do and what I am working toward in the future. Doing this will ensure that you can work through the less desirable tasks and get back to the ones you love! 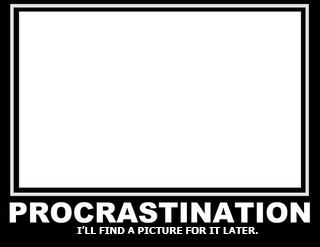 Procrastination and being distracted seem to go hand in hand. I find it almost impossible not to procrastinate if I am being distracted repeatedly by multiple sources. In order to avoid this, try working in a place where distractions will be at a minimum. If you think that the lure of facebook and twitter will distract you throughout your workday, you can use an app that will block them for a scheduled time period so that you can focus on what is in front of you. Mini breaks throughout the day can do wonders when it comes to staying focused. Rather then spending 45 minutes looking at happy babies and people’s lunches on facebook, give yourself a 10 minute break from work to check all your social media sites. Limiting yourself to 10 minutes will allow you to actually focus on important or helpful social media interactions rather than just wasting time. On your next 10 minute break, take a walk outside to clear your mind, refocus, and get your creative juices flowing. If you are really having trouble staying on task, enlist a motivated friend to keep you from procrastinating. On Monday, let them know what you are working on at work and at the end of each day, update them on your progress. When you are an entrepreneur or when you work from home, you don’t have anyone breathing down your back to make sure you are not procrastinating. The simple act of having to let someone know what you did at the end of the day may be enough to make you actually stay on task. Do you have any other tips or tricks for avoiding procrastination? I would love to hear them!